18th Dec: Monitor for a day. 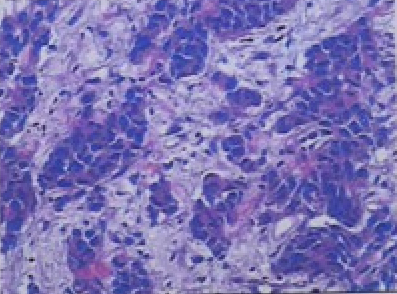 Will do a Biopsy to compare with the one done at the start of this 3rd NGPDT treatment. Mom will do another Interstitial Light treatment 1 week later. The doctor from NGPDT Beijing center will fly to GZ next Friday (17th Dec) to conduct the final Interstitial light treatment for her tumors. With Interstitial treatment, there is no chance of the light frequencies being blocked by body tissues. A final biopsy would also be done to compare with the one done at the begining of this week. Mom final treatment at NGPDT. 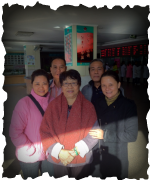 Leaving hospital with her good friends from Dongguan. Will rest for 7 days before final Interstitial Light treatment - scheduled for 17th Dec.
Doppler Ultrasound report from last week showed Tumor size remained about the same (compared to 28 Oct's ultrasound report). 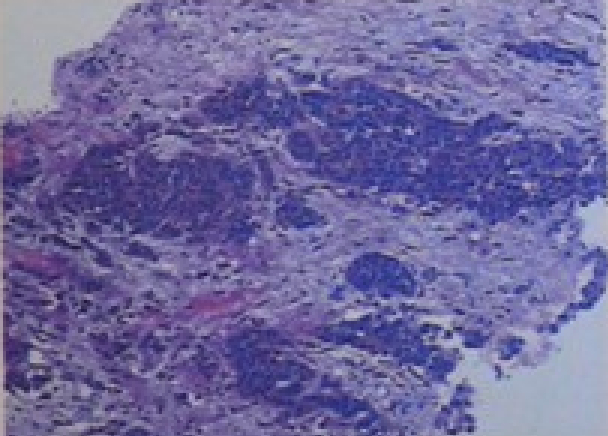 Showed low papillary or local entity like a small amount of calcification. Mom just checked out of Nan Fang Hospital today. She starts her NGPDT treatment today. This procedure includes drinking and inhaling the chlorophyll agent followed by light treatment. I will update this blog over the next 10 days of this treatment. Keep reading! Nan Fang Hospital. 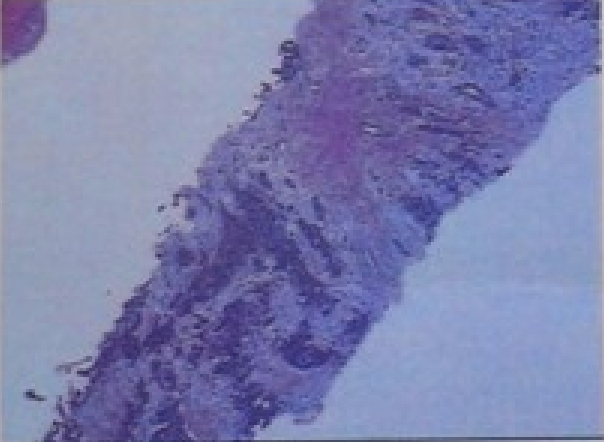 Administering NGPDT agent followed by Interstitial light （间质性针光治疗）probe into the body. Scott Waters was with Mom and he wrote this email to me: "As you can see Madam Thoo walked straight out of the medical procedure instantly. She said she could feel the needle insertion pain but it was not much. 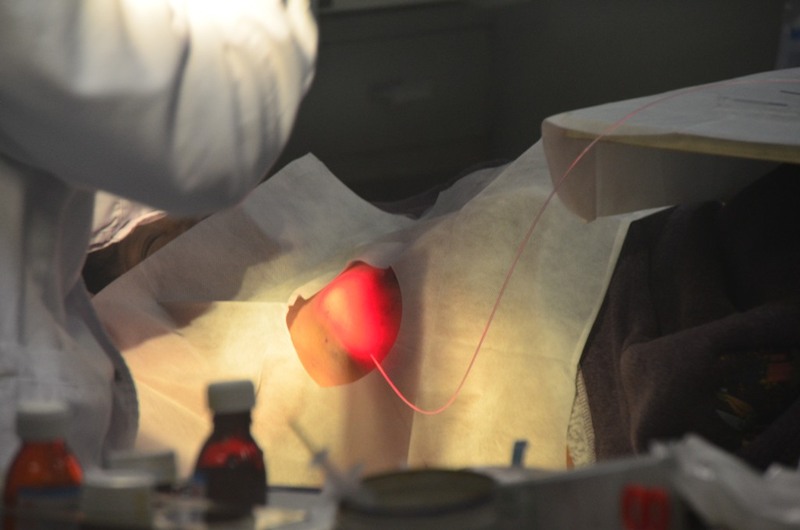 3 interstitial needle light treatments were made in the breast tumor and one interstitial light treatment was done in the lymph node.I had Doctor Youlin in the room while the procedure was in progress. Everything went well and your mum has no pain afterwards.